He has a wide range of experience both in the academic and practical aspects communication and media. In the past, he worked in the field of communication and media in various capacitiess including being a Professor and Director at Jagran Lakecity University Bhopal, Editor at Popular Prakashan Pvt. 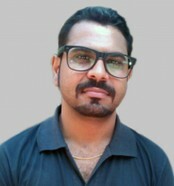 Ltd, Group News Coordinator at Lokmat newspaperPvt. Ltd, Press Adviser to Union Minister of Power at Power Grid Corporation of India Limited, Media strategist and analyst at Rabtaa Communications Private Limited, Media Consultant at Abacus ICC, Deputy General Manager at IN Mumbai, Senior Metro Correspondent at Bennett, Coleman and Co. Ltd. (Times Group), Principle Correspondent at Emerging Markets Data Plc, Senior Correspondent at Television International, Business India Group, Reporter at Bennett, Coleman and Co. Ltd. (Times Group) and Reporter at The Indian Post. Dr. Ranade is also consultatnt for Indian Communication Design and conducts Communcation Design workshops, Communication audits for corporates, NGOs and individuals. Dr. Sunder Rajdeep has completed his Masters in Communication and Journalism from Dr. Babasaheb Ambedkar Marathawada University, Aurangabad. He has studied for doctoral thesis the title being “Impact of the Chandrapur Akashvani FM center on their beneficiaries”. Joined academics after a brief stint in journalism in Nagpur. He teaches media laws, reporting & current affairs, research methodologies, and metropolitan journalism. She teaches Advertising, Media Research and Management. Earlier worked in the field of Brand Communication, Marketing & Public Relations. She was earlier working as a faculty with the Department of Communication & Journalism, University of Pune. 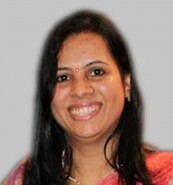 She has done corporate training in various corporates and management Institutes. She has completed her Masters in Communication & Journalism and Diploma in Journalism, University of Pune. 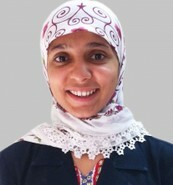 She teaches Media Economics, Introduction to Media Research and Advanced Media Research. Her areas of specialisation are Media Research and New Media. Currently pursuing her doctoral research under Dr. Sunder Rajdeep, Department of Communication and Journalism, University of Mumbai. Prasad Ravindranath Thakur is an experienced casting director in Bollywood and Marathi Film industry. Later on he pursued Degrees in Media. His expertise in Film and Television Studies, Electronic Media and ICT is greatly acknowledged by various media institutes. He has directed various documentaries, short films and one- act plays. He is a guest lecturer at the Departent of Mass Communications Shivaji Univeristy for Film making, Animation, Advertising and Mass Media. 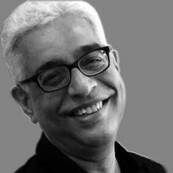 He also works as a guest lecturer at the institute of Big Aims Reliance Pune in film making and Animation. Area of interest/specialization: New Media, Public Relations, Pop Culture, Video Games, Communication and Media Studies. Qualification: SET - Masters in Communication and Journalism (Specialisation: Metropolitan Journalism), PGDAM (Management), Research Scholar (Pacific University, Udaipur). He is Post-Doctoral Research Fellow at CCD-HumES research environment, on invitation in Orebro University, Sweden in 2015. He is Doctor of Philosophy in Mass Communication and Journalism. 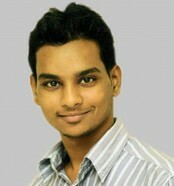 His thesis is on ‘Status of Disability Communication in India of Non-Govt. and Govt. Organizations: A Comparative Study’, which demonstrated the theory of ‘Disability Communication’. 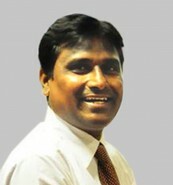 He began his career at Indian Express Newspaper Daily at Kochi in 1987. Joined in 1989 as Mass Media Professional at the National Level Institute (AYJNIHH-Mumbai) under Department of Empowerment of Persons with Disabilities, Ministry of Social Justice & Empowerment, Govt. of India. He teaches and Coordinates the Post Graduate Diploma in Media &Disability Communication Course, jointly conducted by University of Mumbai & AYJNIHH-Mumbai. He is winner of prestigious International Award- ‘Manthan Award South Asia for E-inclusion in 2009’ and recipient of esteemed National Award ‘NCPEDP-MphasiS Universal Design Award- 2011’ for his innovation in Universal Design & Accessible Digital Media. He published several International & National Books and articles in journals. 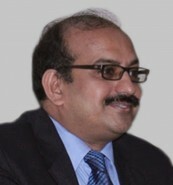 He is also visiting faculty at K.C. 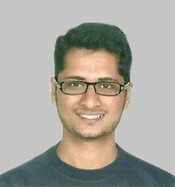 College, Mumbai and does research in ‘Design & Development of Animated Sign Language Captioning Framework’ a ‘Diety-Govt. of India’ funded project in collaboration with C-DAC Pune.